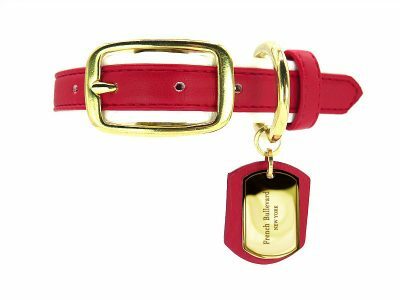 Opt for opulence with this new Ruby Red leather collar and inject a pop of color into your new season pup’s wardrobe. Our Ruby Red vegan leather upholstery is a flattering choice for a look that oozes glamour. 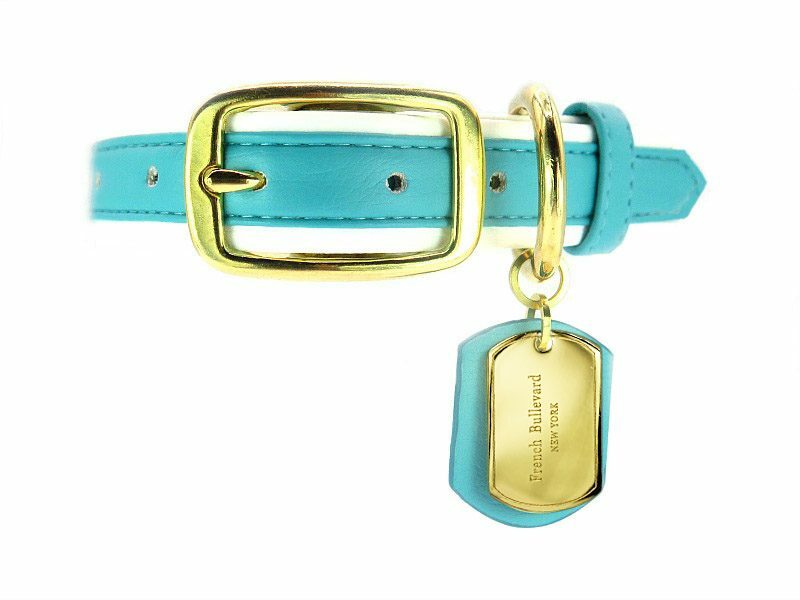 Perfect for all fashionistas, boys and girls alike, this new sleek and modern color is our new obsession. 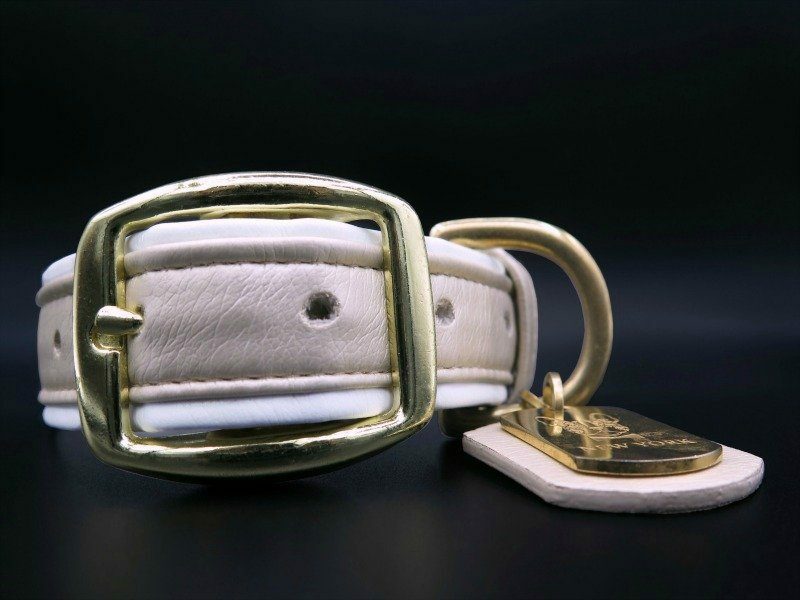 The white strap surrounding the collar adds a nice contrast which softens the look of this magnificent collar. 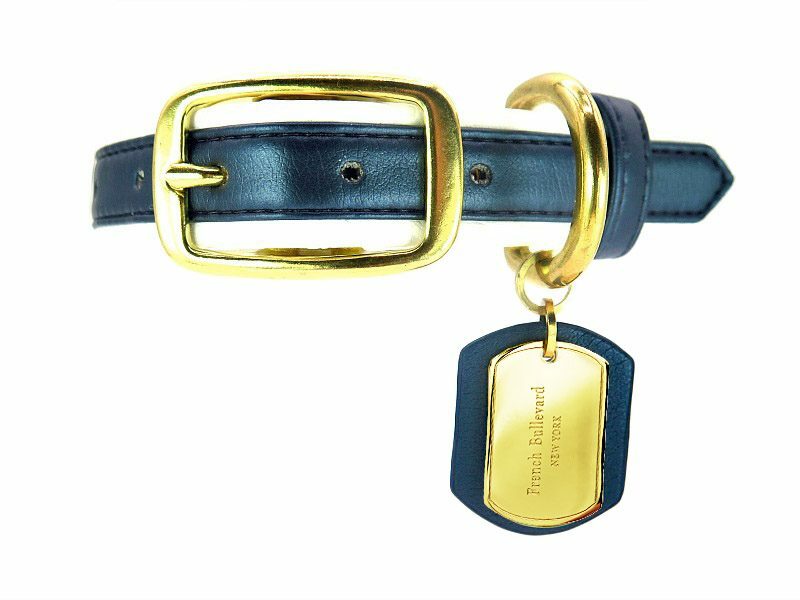 The carefully selected brass hardware will perfect the leather collar elegantly, and as usual, the 14K gold-plated tag is attached to superbly display the uniquely engraved French Bullevard stamp. 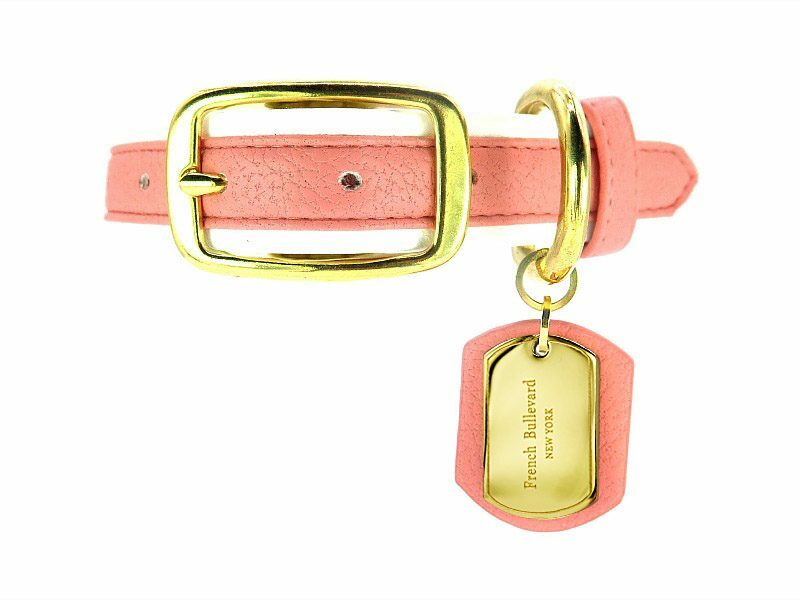 The dog leather collars contain and are compliant with international standards. You can rest assured your dog is safe, comfortable, and environmentally conscious.